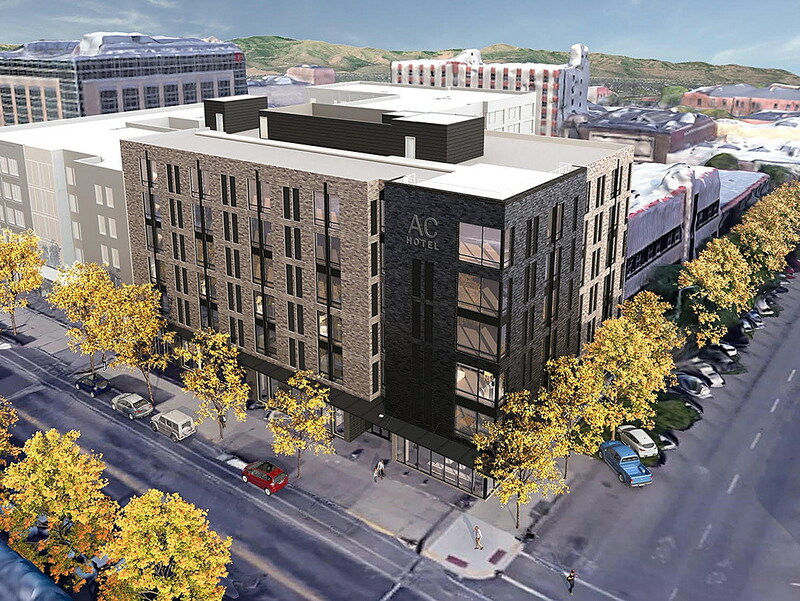 The new AC Hotel by Marriott will stand on the corner of Pattee and Main streets in downtown Missoula. The project is valued at roughly $21 million. Bullish on Missoula’s economy, a Montana development firm plans to break ground on a new $21 million hotel next spring, representing its second major downtown investment in an equal number of years. Andy Holloran, owner of HomeBase Partners in Bozeman, said construction of the six-story AC Hotel will begin in May or June. The project is slated for the corner of Pattee and Main Street, which is currently occupied by a shuttered garage. Come spring, crews will remove the structure and break ground on the new hotel. Once finished, the project will include 105 guest rooms, a speakeasy off the alley and a rooftop bar. Holloran described the AC brand as internationally popular and one that offers a variety of modern quirks. Crews broke ground on the $40 million Mercantile project last summer, and Holloran expects the hotel to open by February. That project includes roughly 175 rooms, less than the 300 rooms recommended in the Downtown Master Plan upon its adoption a decade ago. 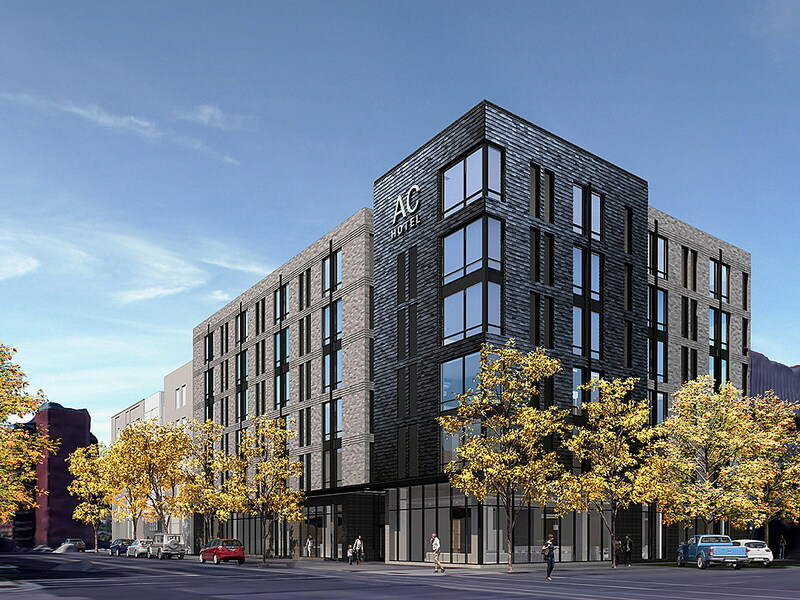 While the Mercantile is designed for extended family stays and leisure travelers, Holloran said, the AC brand has made its mark as a select-service hotel inspired by European traditions. Those include tapas plates, a co-working lounge, mobile check-in and a French and Spanish breakfast bar, among others. The hotel will also offer attractions for the wider public. Construction of the six-story AC Hotel will begin downtown in May or June. Holloran said the new AC hotel will bring 40 new jobs to the city – the same amount as the Mercantile next door. He also expects some will raise questions about parking, though he’s been working closely with the city in planning the new project. The two hotels combined represent an investment of roughly $62 million and a net increase of roughly 80 jobs, from management to the front desk. They also represent two of the larger construction projects in downtown Missoula, joining the ROAM student housing project and the Missoula Public Library, the latter still under construction. Holloran said Missoula has experienced steady population growth over the past decade, making it attractive to investors. It’s also seen growth in air service, with several new routes and one new airline entering the market over the past year. While the Mercantile hotel took years to bring to fruition due to controversies over the site, Holloran said city staff have been easy to work with on the AC project. Discussions with planning staff have been positive, he said. Holloran expects construction to take around 16 months, setting the hotel on track for a summer opening in 2020.